==> Enter Domain to Register and Click Go. ==> Register with new Account Or Login If already Registered. No other info like CC, SSN, signs such crap needed. 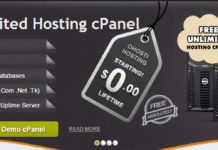 Get free either .COM or .NET domain with 20GB Hosting for 1 year.